A RARE REAL, FERMENTED PICKLE! BUT YOU CAN EASILY MAKE YOUR OWN!! By now, it is pretty much common knowledge that the health of the gut biome, in other words the healthy condition of many, many microbes within your intestine, is fundamental to your health! These little gut bugs determine how fat or thin you are, whether or not you get sick, your mood, and most other things about you- in fact, in many ways, these microbes are you. If they get disturbed and unhealthy, and if you have too much of the bad kind and not enough of the good, you will be unhealthy, fat and sick! Many people, when they become aware of this, start to take probiotic supplements, to introduce good microbes into their guts. And then, they take prebiotics, like potato starch, to feed these probiotic critters. This is fine, but is expensive, and kind of a drop in the bucket. And, anyway, how did people in the old days do this? They didn’t have supplements, that’s for sure. Fermentation, in a word, is the answer. By naturally fermenting things, good bacteria that is already on the skin of whatever vegetable you choose to ferment multiply drastically. Then, after just a few days, you can consume some of the fermented, tangy vegetable, and send a huge amount of microbes into your gut to start working for you! It’s free, it’s easy, and it’s really tasty- I have some pickles fermenting on my counter now, and sauerkraut in jars in my fridge. Fermenting is not canning, like my grandmother did- slaving away for a full day over a hot stove in Fall, preserving the harvest by boiling and canning produce! This preserves the vegetables, but it kills every bit of beneficial bacteria. Likewise pickles and other veggies you buy at the store- these are “dead” products, loaded with vinegar, and with no bacteria whatsoever. They are not really foods, per se, at all! Just take a jar- actually, canning jars are great for this, but I use all sorts of leftover glass jars. Take a couple of tablespoons of sea salt, and add your veggies. 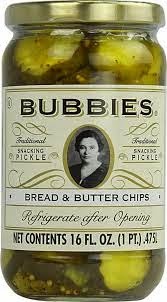 Try pickles first- just take small cucumbers and put them in the jar with the salt, and add water to the top of the jar. I also bought some “pickling spices” at the store, and add a bit into each jar. Put on the lid. That’s it! Now, you just wait. Indoor temperatures are ideal for fermentation- what we like, microbes like! After a couple of days, you will notice bubbles within the jar. If you’d like, take out a pickle, and taste it! Chances are, it won’t be tart enough for you yet, but it will still be pretty good- Enjoy! You are getting a LOT of beneficial bacteria, for very little cost or effort. I have used fermentation locks on my jars, but find them unnecessary overall- just open your jars every few days to “check” on your babies, and “burp” the jars. Actually, the longer you let your fermentation go, the more good bacteria is concentrated in each delicious bite! But, just go by taste- when it is tart and crisp enough for you, just put it into the refrigerator - now, it will just stay at that level, for a long, long time. And your health will improve as much as if you had eaten grass fed beef and wild salmon, maybe even more- and for almost no expense whatsoever! Next, you can try sauerkraut, or fermented salsa! Fermented salsa will last virtually forever, where just refrigerated salsa will only last a couple of weeks or so… and as to taste, there is no compare!